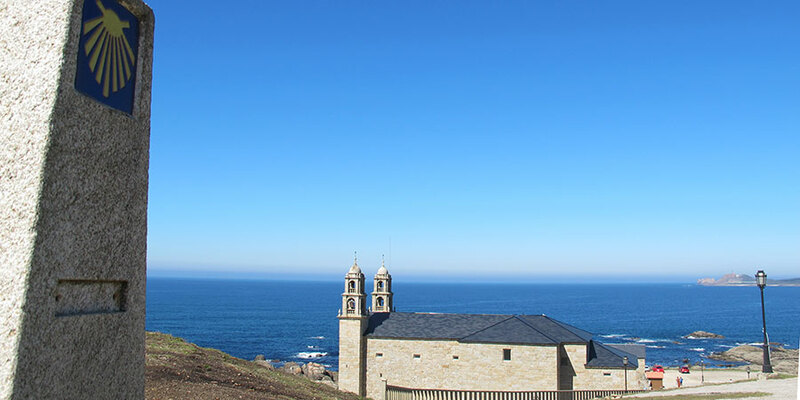 The Finisterre Camino has had a magical appeal for pilgrims since medieval times. 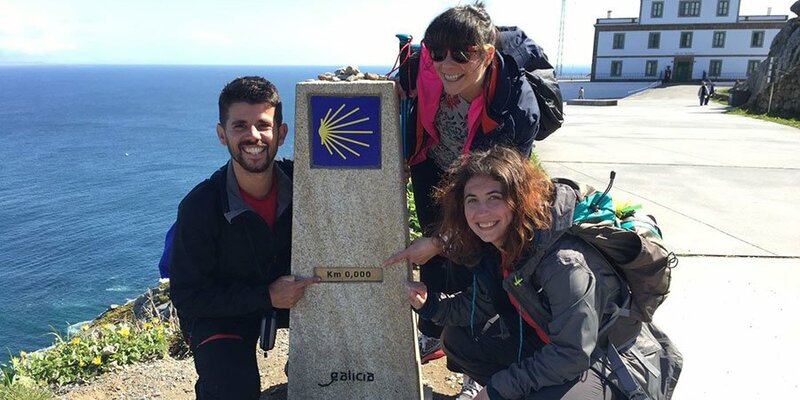 Having arrived in Santiago after walking for many weeks across Europe, they would continue their journey on to Cape Fisterra, believed to be the last place on Earth, the edge of the known World, Finis Terrae. 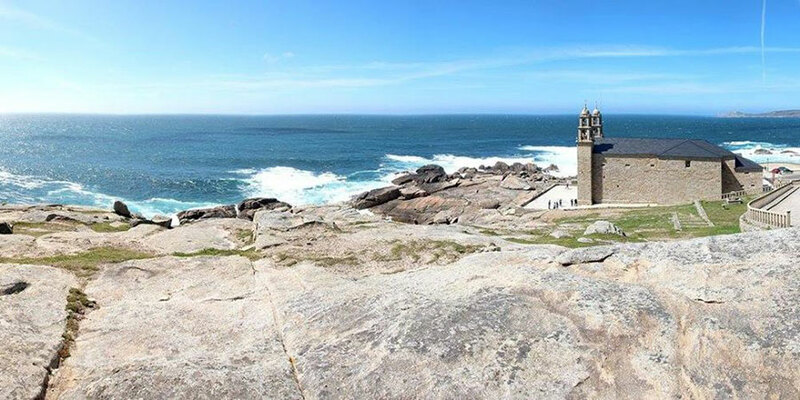 Many would also continue to Muxia, to pay their respects to the Virxe da Barca and her sanctuary perched over mythical rocks carved by the Atlantic Ocean. Feel like a medieval pilgrim as you cross the 14th century bridge over the Tambre River in the pretty little hamlet of Pontemaceira. 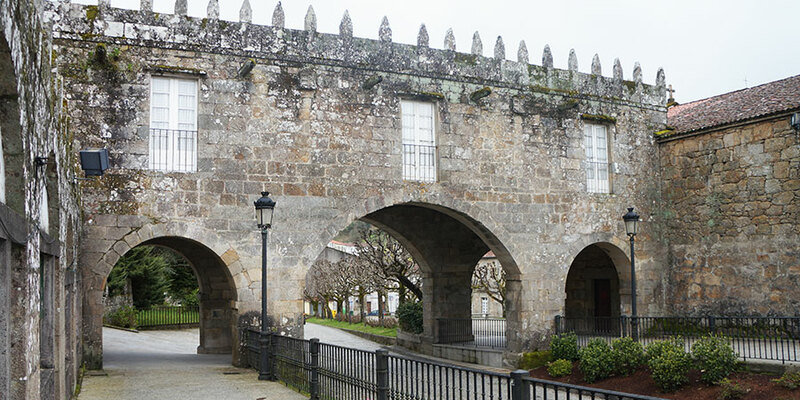 The arches of 18th century stately home Pazo de Coton are an iconic image for pilgrims on this Camino route. 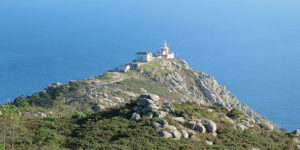 The Camino to Fisterra and Muxia has many rituals that have been passed down from pilgrim to pilgrim over the centuries. Going for a swim in Langosteira Beach is one of them and it used to be considered a purification ritual marking the end of your Camino journey. 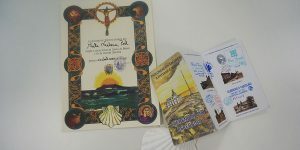 Modern-day pilgrims to Fisterra can now get a pilgrim certificate at the local pilgrim hostel, known as Finisterrana Certificate. The chapel of Holy Christ in the Church of Santa Maria das Areas has been a place of worship for pilgrims for many generations and is a must-visit in town before you head to collect your certificate. 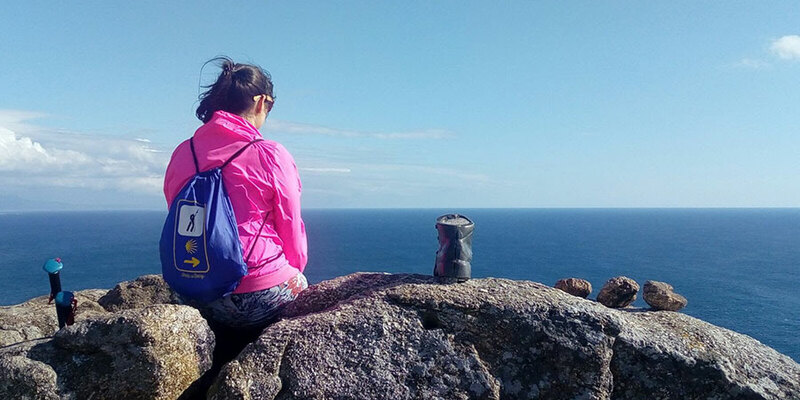 Watching the sun set and disapear over the Atlantic Ocean by the iconic lighthouse at Cape Fisterra is probably one of the oldest traditions associated with the Finisterre Camino. It is believed the area was the location of the Ara Solis, an altar dedicated to the mighty Sun and its magic powers; and not only pre-christian locals but also the Roman invaders were in awe of Fisterra’s majestic sunsets. Foodie pilgrims in the region will relish the opportunity to taste some of the best seafood in Europe. Gonzalo from El Rey de las Mariscadas (the King of Seafood) assures us he offers the best in town, to be savoured from a priviledged location overlooking Langosteira Beach. 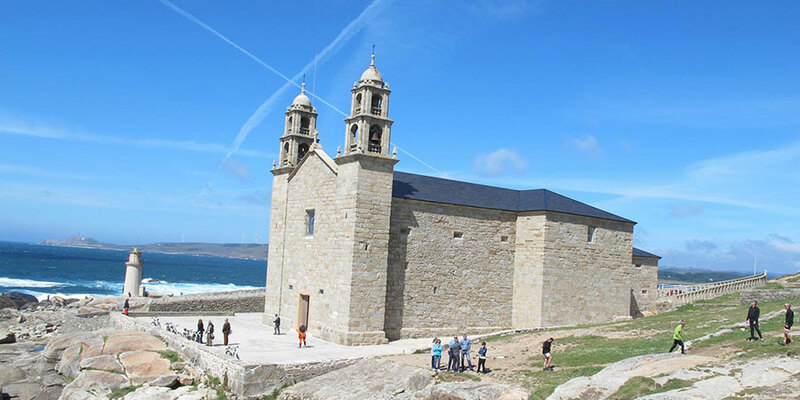 Today’s Virxe da Barca sanctuary is a Baroque building dating back to the 18th century but the original chapel would have dated to back to medieval times. The place is a fascinating mix of religious and pagan traditions, best illustrated by the importance of its famous ‘magic stones’, as important a pilgrimage as the chapel of the Virxe da Barca itself. According to legend the Virgin Mary travelled on a stone boat to Muxia to help St James spread the gospel amongst the unruly locals. 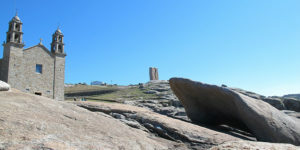 You’ll find not only the ‘boat stone’ but also the ‘back stone’ (pedra dos cadris) and you will have to walk under it 9 times to cure all your back ailments.